Iyengar yoga has influenced my practice and teaching in a profound way. Ironically, a conversation I had with my teacher Noah this past winter, centered around how Iyengar yogis are a dying breed. Truly, when is the last time you took a class at Yoga Circle or your other local studio with a certified Iyengar teacher on a weekly basis? We’ve become conditioned to shun props, focus driven sequences, yoga without playlists or receive honest feedback from our teachers. The general yoga class typically has very indirect cues like “do what makes you feel good”. This is because teachers will always be evolving the baseline of yoga. As Ganga White has put it teachers are “standing on the shoulders of the past”. I mean, how easy is it to take this honest feedback Iyengar once gave, “You are all experts…experts at making mistakes”. Ouch. In all honesty, if teachers weren’t evolving the baseline I’d be concerned. But an evolution should honor it’s roots. The sad fact is that BKS Iyengar’s system of yoga has been left by the wayside as vinyasa flow has taken the world by storm. Yet, within minutes after he died the outpouring was overwhelmingly positive and thoughtful dedications to this yoga pioneer. Perhaps his passing was a systems check for everyone on the mat (not already studying Iyengar directly). Just who’s shoulders have our teachers been standing on? Maybe we should pay respect to one of the people who’s yoga had a direct effect on this physical practice we hold so dear. I’ve been re-dedicating myself to Iyengar’s system ever since I left Anusara in early 2012 (which wouldn’t have existed without John standing on his teacher’s, Iyengar, shoulders). There was a time from 2002-2005 when my main teacher was Light On Yoga because I lived in remote places without local teachers. It feels liberating to be going backward and relishing in the nuances of alignment instead of picking out the playlist. And yet, my classes are in no way Iyengar affiliated or accredited, just total dedications to the poses and pose work. For me, the way to honor Iyengar is to work with this very thoughtful way of seeing the body and being in a body. That’s how I hope to help contribute to his system and in that way his yoga will live on. Also, going for a total ego-lashing with Mr. Howell down at Yoga Circle. Do your yoga. Do the yoga your teacher’s have inspired you to resonate with. Just remember there is a link to this mighty man in most classes even if you have to dig for it. 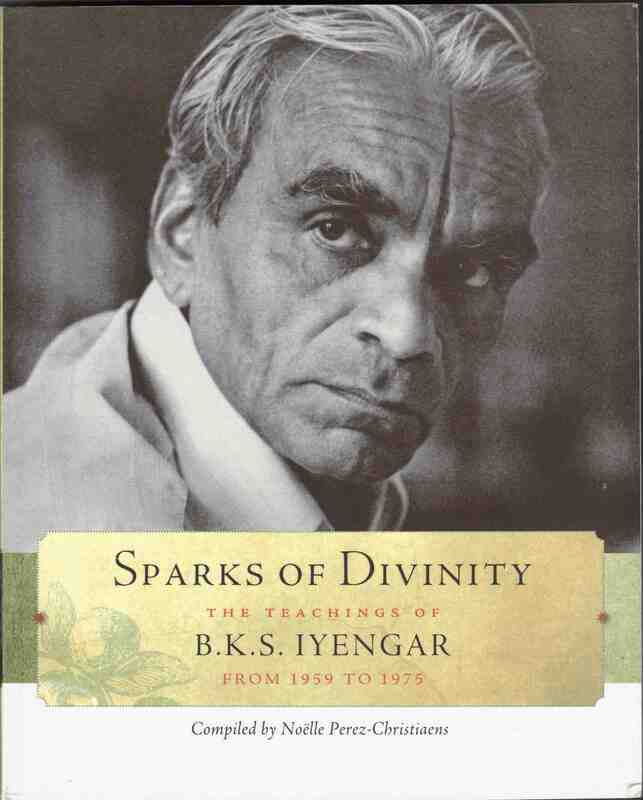 Asana just wouldn’t be what it is today without BKS Iyengar. Interested in reading some of Iyengar’s class musings that a dedicated student shared from her personal notes between 1959-1975? Sparks of Divinity is a must read. 16.23. Is old age postponed by the control of the breath?